Hello! My Name is Sue… how do you do? No, I didn’t change my name. It’s the line from the Johnny Cash song… you know, the one where the subject of his song finally meets his father in a bar room. He seems to have spent his life searching for the dirty scoundrel that would give him a girl’s name and then run off into the sunset leaving him to fend for himself… come on folks, I’m not that old! If Mr. Cash’s character was this irritable over the name he was given, how did Hosea’s children feel? Imagine growing up with names like ‘No Mercy’ and ‘Not My People.’ No, their dad didn’t give them these names… worse, God did. What led to this? Did the Almighty Creator of heaven and earth wake up in a bad mood one morning and start dishing out reprehensible monikers to express His countenance? Was He sour over missing His flight to Tahiti? Our Pastor has begun a study of the Minor Prophets, with plans to begin in the book of Hosea. In his first message I think he may have quoted from every book of the Bible… with the exception of one… Hosea. There’s good reason. To open the pages of this book without an understanding of how all of the players got there makes for a very confusing story. It becomes evident really quick that God is not very happy… angry, in fact! What’s He so mad about? Remember those promises made to Abraham (Genesis 12)? Fortunately, God hasn’t forgotten them. He brought every one of them to pass. But it wasn’t because of Israel’s faithfulness… or anyone else’s for that matter. It will be because of His faithfulness, in spite of our faithlessness. Think of the checkered history of these children of Abraham for a moment (not to mention ours). God, through Moses, delivered and explained all He would do for them. He gave them His Law to help them understand His nature. They were given one simple task… obey. They agreed. …but they didn’t keep their end of the bargain long. Standing at the threshold of the Promised Land, the Israelites doubted, complained, and revolted. Enter… Joshua. God raises up a new generation and they march into the land of the Canaanites. All is well, until Joshua and his generation pass. The time of the Judges is described as a time when everyone did what was right… in their own eyes (not in God’s eyes). Again and again God raises up leaders to rescue the people from self-induced slavery. The people cry out for a king (it might be mentioned… they want God’s protection, they don’t want to be obedient)! God grants their wish… to no avail. After the utter failure of Saul, God raises up a king after His own heart… but a generation later, Israel is once again proving herself unfaithful and stiff-necked. David’s son, Solomon, loves his women… who come with a little extra baggage. False gods are ushered in to reign beside the Great I Am. Amazingly, we one day hear those names of Hosea’s children spoken of again. This time though, as God often does, the names sound a little more inviting. He will declare… “You have obtained mercy; you are My people (1 Peter 2:9-10)!” Peter of course speaks of the life we have in Christ. This entry was posted in WordPosts and tagged A Boy Named Sue, bad children's names, being faithful or unfaithful, Book of Hosea, Christianity, Hosea, Johnny Cash, Minor Prophets, naming your children, selecting a name for your child. Bookmark the permalink. 19 Responses to Hello! My Name is Sue… how do you do? This is an awesome word today. I love how God remains faithful to us despite our inadequacies and faithlessness. God’s grace and mercies are new every morning. I wonder how the world would be if we tried to operate with a new sheet of mercies and grace for every single person that we meet. Hi good friend! Thanks for swinging through and commenting… and the pingback! He is ever faithful! God bless. I know a lot of Christians don’t like the Old Testament but the New wouldn’t make much sense without the Old. I am so thankful that I live under Grace and not under the Law. I am so thankful that my amazing God revealed to me the truth of “You have obtained mercy; you are My people”. I am so thankful that in Christ, I am free – and not only free, but empowered. Very true, good friend. While they couldn’t grasp all that it meant (before the Christ came), the gospel is very much on every page of the OT just as the New. Free and Empowered! A good word! God bless. Once, in a class I taught on the Prophets, I suggested to my class that the easiest way to understand Hosea was to listen to Hank Williams’ Your Cheatin’ Heart…. I must remember that one Brother James! Thanks and God bless. Thank you, good friend! Blessings! Brilliant post, content… I love the title! Thanks Walter, your comment is generous… and Mr. Cash gets credit for the title. 🙂 God bless. You opened with Boy Named Sue, then mentioned the names of Hosea’s children, but did not point out he married a woman named Gomer. How did that happen? 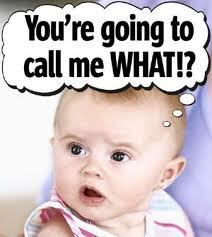 Lots of families today still use Bible names; we know three kids named Miriam, Caleb and Isaac. I wanted to use less common names than that, like naming a girl Gomer or a boy Mephibosheth. My wife pointed out that Gomer was a prostitute and we haven’t had a son… yet. Good point… how does one miss such a name? Should you follow through with your name selections, Clark, I foresee another famous song in your future! Some personal favorites of mine would be… Uz, Hul, Gether, and Mash. Thanks good friend. You ARE my people! Doesn’t that have a wonderful ring to it! It does! It does have a wonderful ring! Thanks Debbie and God bless. The Lord does appear to be a bit testy at times. But when you read the rise and fall of mankind throughout the bible, we’re the same today. Makes me very thankful for Jesus! Great Post, Mike. Amen, Deidre! Thankful indeed. God bless.